FAME Fire Series Tom Tom, 12" x 8"
The drums and single kettles of the Fame Fire series offer you professional instruments, equipped with top features, at absolutely fair prices. High-quality maple wood boilers meet excellently finished boiler hardware in chrome and black as well as exciting finishes, whether matt or sparkle varnish. The Tom Tom Fire series boilers are made of high-quality maple wood, one of the most popular woods in drum making. For a perfectly round kettle, several layers of wood are glued and pressed into shape and the edges are then provided with a clean fur support edge. The toms have a rim suspension, which means that they are attached to the tom holders in a vibration-neutral manner so that the sound potential can fully unfold. 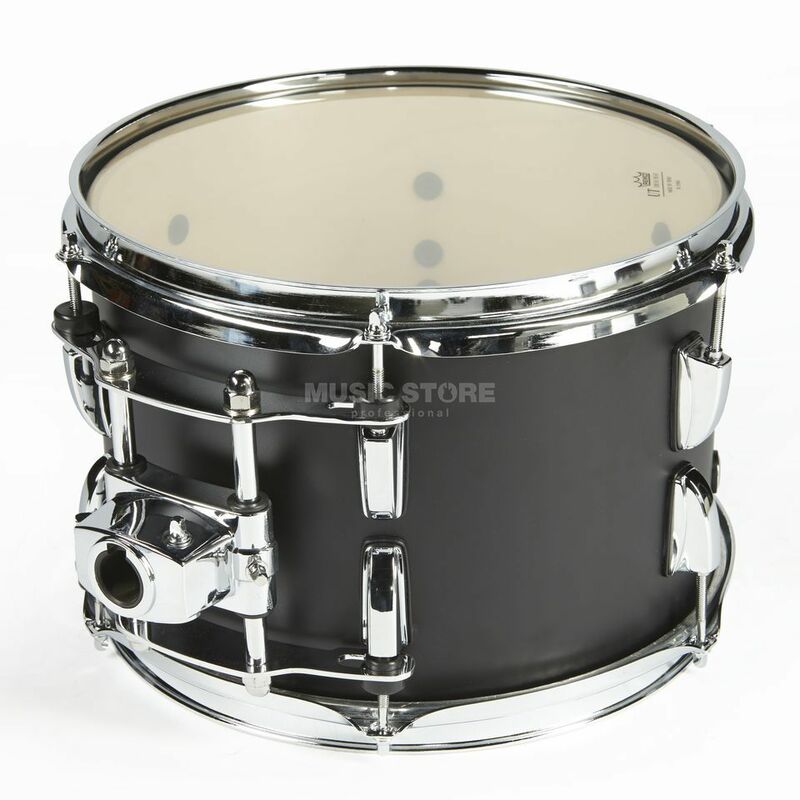 Remo skins are tuned with flanged steel hoops.